miche shells | Sophisticated Diva ~ A.K.A. Along came Polly! Pronounced ver-sigh. Named for the magnificent French royal palace, the Versailles’s sumptuous color and haute-couture styling add elegance and refinement to any look. Pale-rose champagne faux leather with a pearlized finish features quilted detailing and pearlized cream accents. 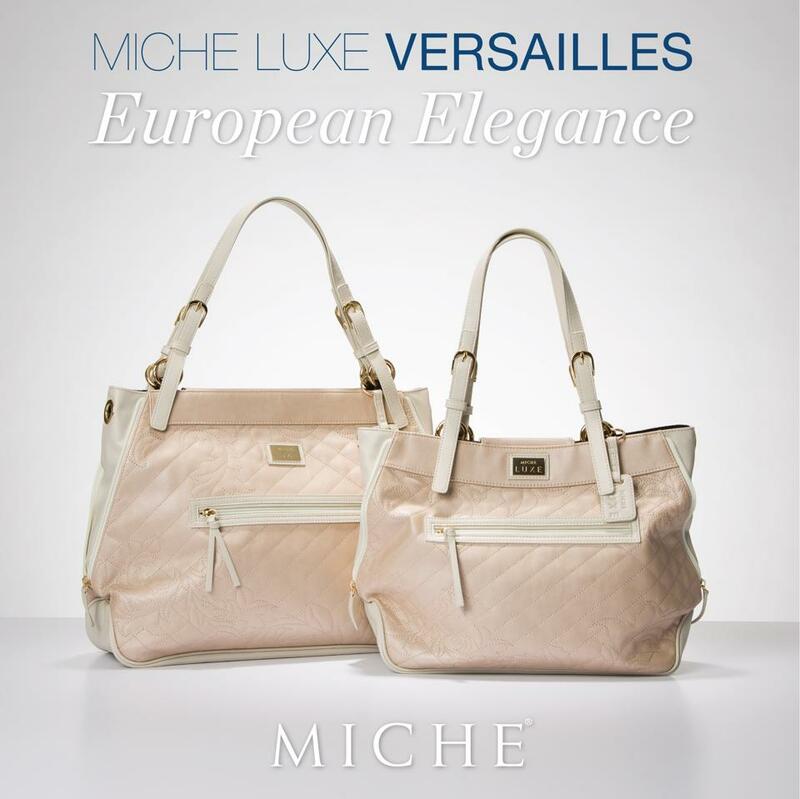 As part of our MICHE Luxe Collection, Versailles for MICHE bags comes with matching flat handles, key fob and a dust cover for easy storage. CUSTOMERS!! WHEN YOU PURCHASE ANY Miche order worth $50.00 or more, (not including tax and shipping) you may choose ANY ONE item from our beautiful VIENNA collection for 50% off!! Got travel on your mind?? Grab the satchel!! Just going for a quick trip where you want to “carry light”?? 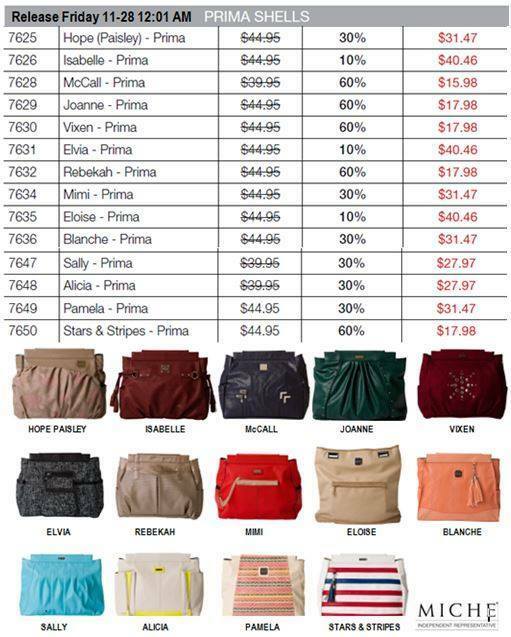 Choose the hip bag!! You won’t be disappointed with this fabulous collection— CLICK HERE to see the beautiful new LUXE releases and the ENTIRE VIENNA collection now! Items from the VIENNA collection are also now available– travel in style!! Choose matching pieces to compliment your style! CLICK HERE to see them! 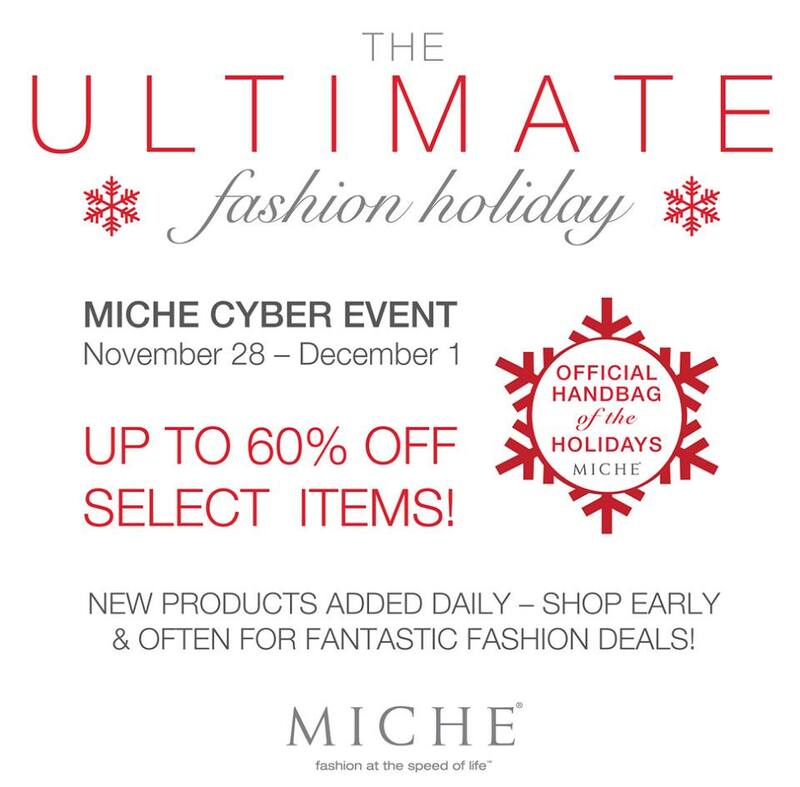 MICHE NEWS!! FEB 1 2015 ~ YOUR SPRING RELEASES ARE HERE!! 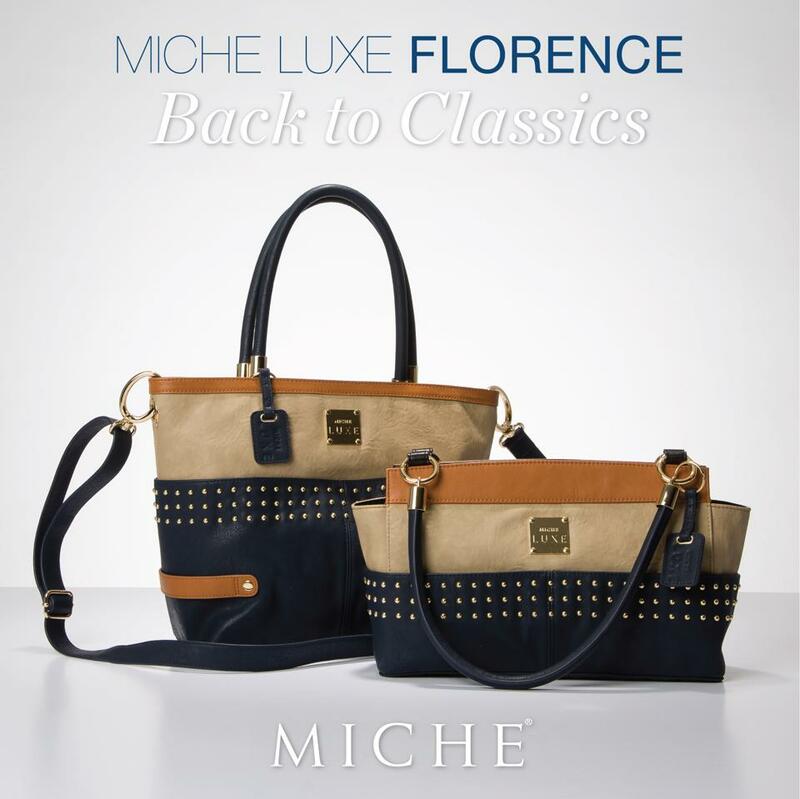 Miche has done it again, FRESH and stylish new product with a beautiful palette of this spring’s hottest colors! MANY of these items will go very quickly, my advice: if you see a “must have” grab it now — I don’t want to see anyone disappointed because they’ve missed their favorites! 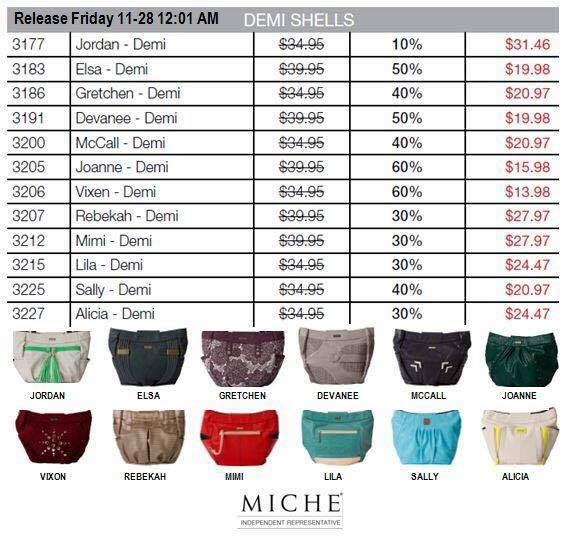 VISIT MY MICHE WEBSITE now to check them all out!! ALL ITEMS are on my website and are NOW AVAILABLE! Do you have an expecting mother? Our new LOLA diaper bag is SURE to please! CLICK HERE to check out this gorgeous stand alone bag, and remember…as beautiful as this one is, it’s NOT just for diapers! Our LOURDES shell for classic and demi is SURE TO PLEASE with a new handle design, the handles clip on the shell directly to offer you a WHOLE NEW LOOK!! CLICK HERE to check them out!! 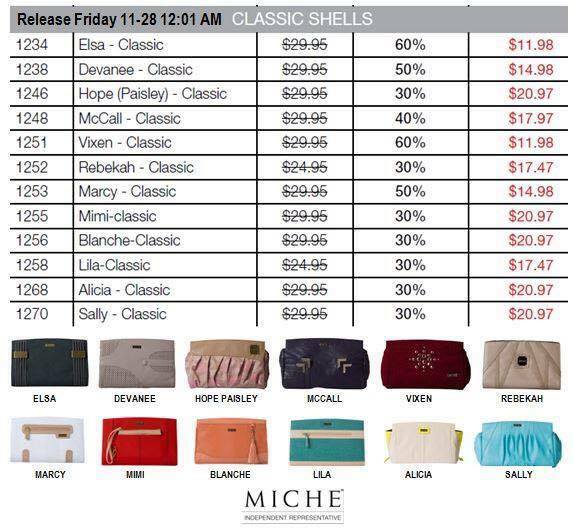 Miche new January 2015 releases!! I’m getting BUTTERFLIES!! Beautiful brand new Miche product!! CLICK HERE to order now!! 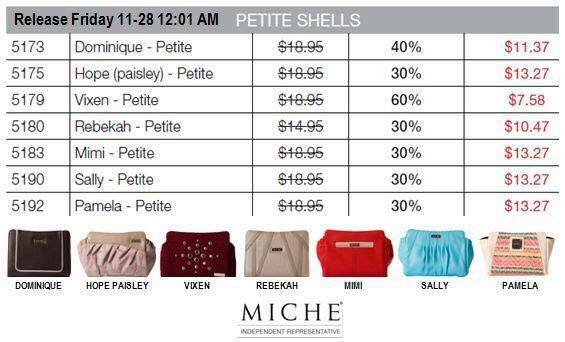 YOUR MICHE JANUARY RELEASES ARE NOW AVAILABLE!! 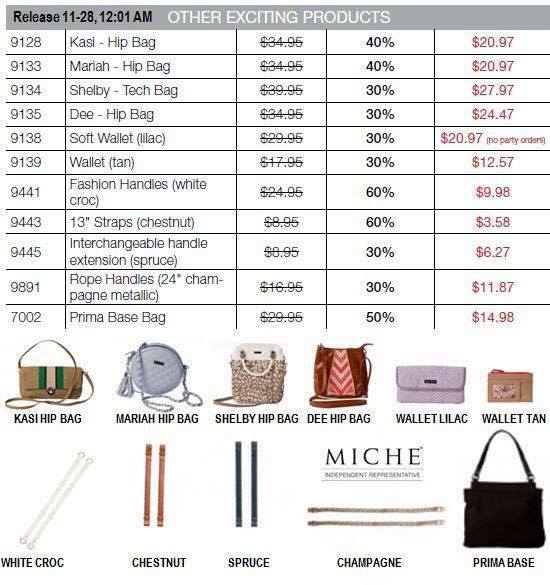 What’s even better, the SERENA accessories are available at 50% off **limit one (excludes the bucket bag) to customers ordering more than $50.00 in Miche goodies THIS MONTH ONLY!! I have a very strong feeling that these items won’t last for long—so if you truly want them, order soon!! Aren’t they simply PRECIOUS?? Butterflies and dragonflies! When you arrive on my website, please register your account–this is imperative, as you cannot place your order if you haven’t registered. Having trouble? CALL me right away, or create a new account with an alternate email. 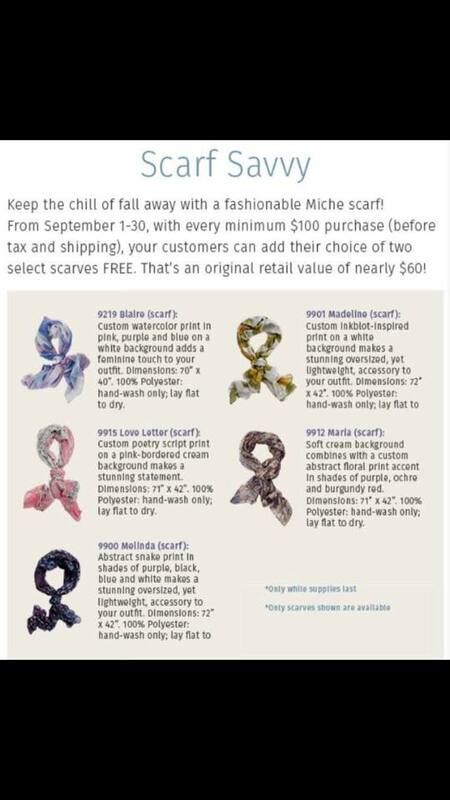 I can place your order for you if you cannot get registered….you don’t want to miss out on these beautiful new shells and accessories!! I can be reached at 815-721-5549. If I’m away from my phone, please leave a message and I will return your call! Like an unexpected kiss, Ruby for MICHE bags is refreshing and joyful. Marble-textured faux leather in enchanting berry is offset by trim in a lighter shade. Silver-bar hardware on the ends adds just the right amount of sass. The look is young and chic—embrace it! The color is neutral, yet warm. The gold metal accents are rich and luxurious. Put these qualities together and you have as close to the perfect handbag as you could hope for. The Carmen for MICHE bags features soft faux leather in toasty camel. Pleating detail and a bounty of shiny gold rivets make this a must-have for your collection. Spread your fashion wings with our delightful Serena Bucket Bag. Cream canvas fabric features a custom butterfly & dragonfly print— exclusive to MICHE—in shades of chocolate, tan, taupe and ochre. Tan faux leather trim brings this look together and side ties let you widen or narrow the top of the bag. Bag is completely self-contained—it is not interchangeable like our traditional bags. Oval bottom. Interior features solid pale pink fabric with zippered pocket. Dimensions: 13” tall x 11” wide with a 4 ½” gusset; handle is 20” long x ½: wide with a 9” handle drop. You won’t fly away, but you will stay nice and dry—in style! Cream single-person umbrella features a custom butterfly & dragonfly printed border on a cream background; black handle with wrist strap. Comes with a matching printed sleeve. Folded length: 11”x 2”. Custom-created butterfly & dragonfly print in shades of chocolate, tan, taupe and ochre flutter sweetly against a white background. Oversized, yet lightweight, this accessory gives you plenty of options to add flight to your outfit. Dimensions: 71” x 42”. Polyester: hand-wash only; lay flat to dry. 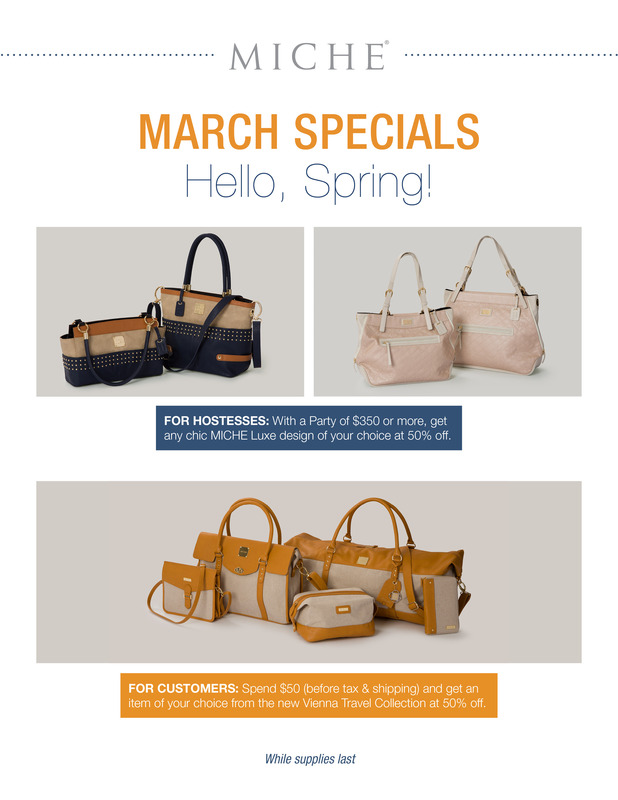 I’m off to order my Miche goodies! !